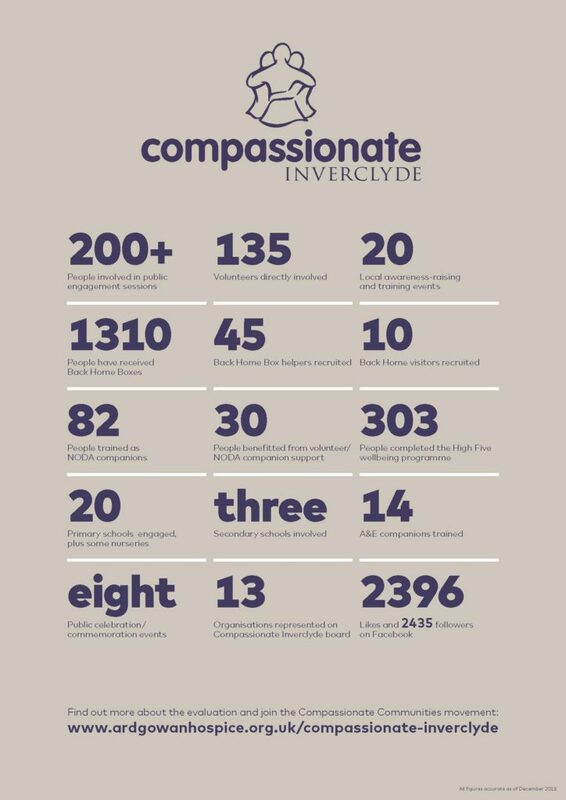 Thank you for attending Compassionate Inverclyde’s ‘The Story So Far’ event. We hope it was informative, moving and inspirational. 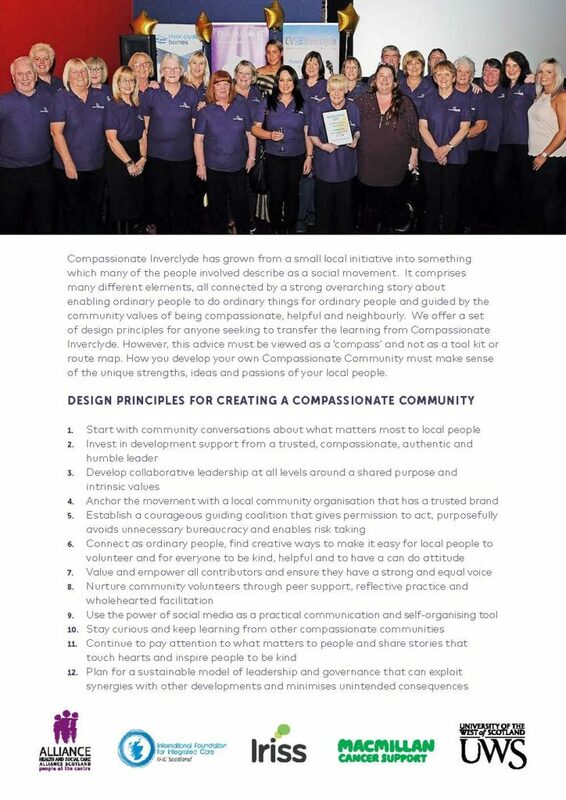 Please follow the three links below to read the full Compassionate Inverclyde Evaluation and learn more about this community minded team. © 2019 Ardgowan Hospice. Registered Scottish Charity No. SC011541. Registered Company No. SC075515. By continuing, you consent to cookie placement.